Looks pretty good, and it’s from 2017. I put it on hold and will pick it up this week. Of course, this is just a supplement to the many online resources available for planning. 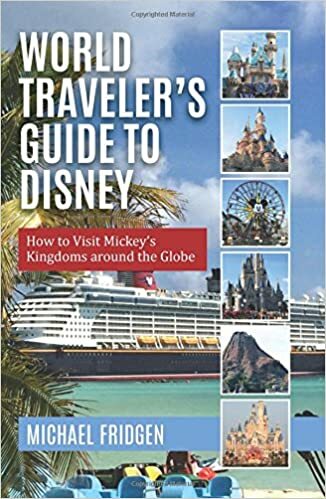 It’s certainly not as extensive as the planning sites for WDW in Florida or DL in California, but I found the DLPguide.com website to be thorough and easy to understand. As someone with a very poor sense of direction, visual maps that only group attractions by “Land” are sometimes incomprehensible. And while French and Spanish both have Latin roots, meaning I can translate the names of the rides, I sometimes can’t identify which Park they are in. DLPGuide’s list of Attractions by alphabetical order was very useful to me in that regard. I could click on each one, make a yes-no-maybe decision about whether it was worth our time, and quickly add the yes and maybe attractions to my DLP tab of the spreadsheet, separated by Park. 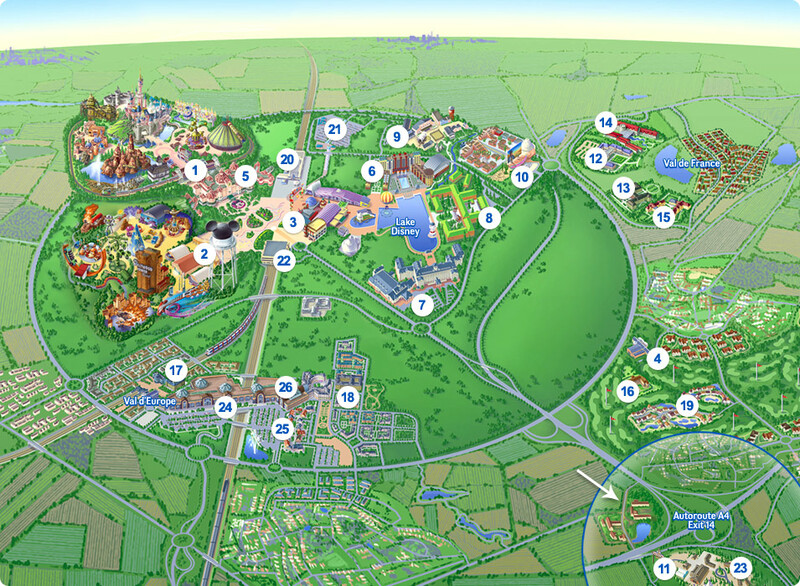 Speaking of Parks, let’s do a general overview. Disneyland Paris Resort consists of a Downtown Disney-esque area called Disney Village, 7 onsite Disney Hotels including the spectacular Disneyland Hotel steps outside the entry turnstiles, and the 2 Parks themselves- Disneyland Park, and the Walt Disney Studios. Broadly speaking, Disneyland Park is like the Magic Kingdoms of the world- it includes Main Street U.S.A., Frontierland, Adventureland, Fantasyland, and Discoveryland. Attractions here include classics like it’s a small world, Phantom Manor (their Haunted Mansion), Pirates of the Caribbean, Space Mountain, and of course, the stunning Castle with an audio-animatronic Maleficent that lives below it. I believe this is where we will spend the majority of our day. I was fully planning on riding Phantom Manor, listing it as a Must-Do in my spreadsheet. I read that it was a really excellent version of the Haunted Mansion, and had heard the soundtrack many times on MouseWorld Radio. But then I saw this! Emperor Kuzco and I are very sad. Once I discuss this with DH, we can sit down with a map and plot our course for the day to avoid backtracking and lines. He’s really good at orienting himself, so we’re a good team! And, bonus, the Parks will be decked out for Disney’s Enchanted Christmas. There is a special parade, night show, decorations, and more! I’ve never been tempted to visit the American Disney Parks during Christmastime, so this will be a nice way to “do” a Disney Christmas without shelling out for the hard-ticket Mickey’s Very Merry Christmas Party. Now, these plans are all fine and dandy, but we need admission to make them a reality. After pretty exhaustive comparisons with the American, UK, French, and other official Disney sites, I realized that using a reputable ticket broker would save me more. I did the DLPGuide site a solid and booked my tickets through a link from their site, using 365tickets.co.uk. I had watched the exchange rate carefully and picked what I felt was an advantageous time, and I of course used a no-foreign-transaction-fee credit card. And it worked- I paid $40 below my estimate. I mentioned before that I was buying the most expensive kind of ticket: a 1-day 2-park Hopper during the SUPER MAGIC PLUS season. It is an expensive splurge but this was non-negotiable. I’m not planning on waiting in Character Greeting lines during this visit unless I see someone extremely rare and the line is short. So a Character Meal will provide food choices with a premium buffet, and no-line Character interaction. However, it’s VERY expensive- nearly $80/adult, $45/child. And we would step out of the Park and into the hotel for the meal, so any time savings might be nil. Pull up a giant champagne cork and take your seat at your jam jar lid in this larger-than-life eatery. Here, oversized cocktail umbrellas, cookbooks and cutlery give you a rat’s eye view, all whilst you and your little colony indulge in Rémy’s special menu: seasonal salad, cut of beef, of course Ratatouille, Brie de Meaux and a large choice of desserts. Bon appétit! Always amazed about your organizational skills!!!! love it!